Hampton Ridge – On Thursday’s list, I needed to attach border #4. I’ve got 3 of those borders on so I only have the 4th border left and that quilt top will be finished! woohoo! Cross Stitching – I was able to work on it a bit the last couple of nights so I just need to work a bit more on it. Half of the letter “E” is now complete and almost all of the left side of the embroidery is complete. I hope to get the “E” and the left half of the embroidery done this weekend. Take pictures of Hampton Ridge and Tell It To The Stars! Scrapitude – Trim the back and get it on the frame. Do you mark before it’s on the frame or after? Here’s the rest of the stuff on my to do list for the weekend right now. I hope to get to this list tomorrow. And if the stars line up nice, I may get my act together enough to get some scrapbooking in to. 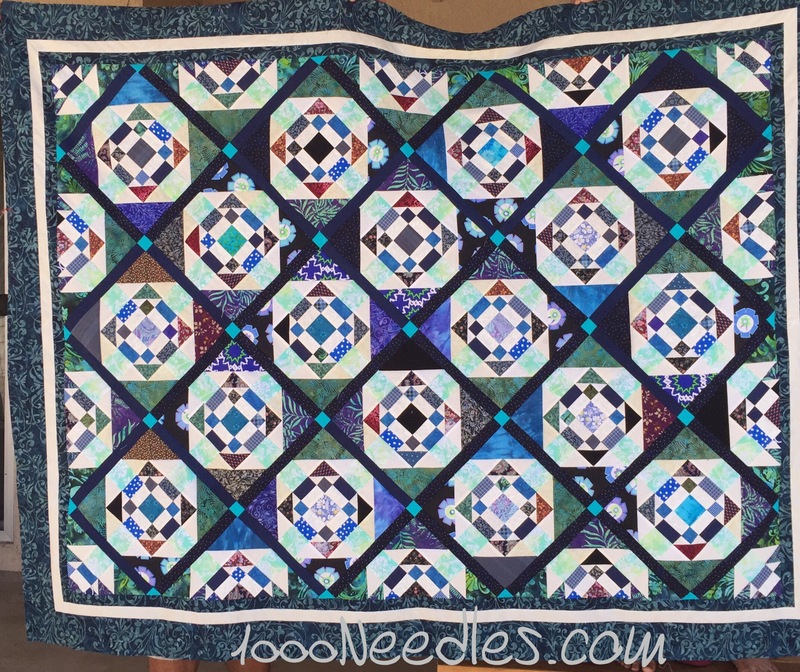 That is a beautiful quilt and the colors are fantastic! Yes. I was thinking of marking the quilting design but gave that up right away.